Great for Classic and Heavy Rock, Punk, Thrash etc. This single-coil neck pickup for the Strat boasts great sound for heavier rock music and includes a four-conductor hookup cable. 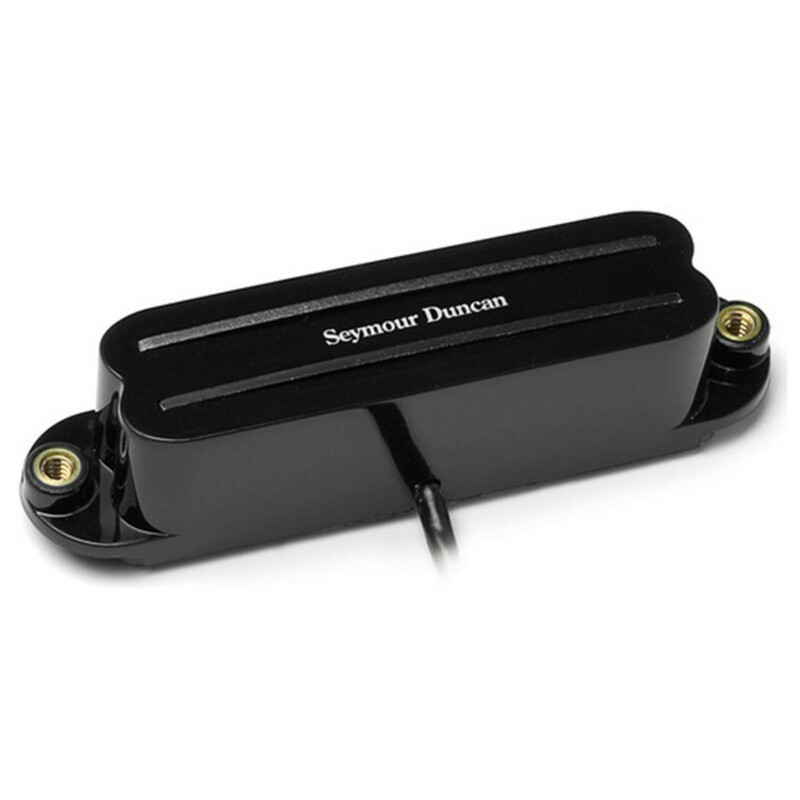 This pickup comes in black and is made by legendary manufacturer, Seymour Duncan. This Seymour Duncan SHR-1 Hot Rails Neck Pickup for a Strat is a high output single-coil-size "rails" humbucker and it comes in black. It works great for classic rock, garage, heavy rock, punk, thrash, classic metal and nu-metal. Players who have used pickups in the SHR-1 family include Janick Gers & Dave Murray (Iron Maiden), Troy VanLeeuwen & Josh Homme (Queens of the Stone Age), Greg Camp (Smashmouth) and Jim Wilson (Rollins Band). The SHR-1 has become one of the most popular pickups from Seymour Duncan, as well as being one of their highest output. It boasts two thin blades, strong ceramic magnet and powerful coil windings which give fantastic sustain and a fat, full sound which works great for heavier rock music. You'll find this pickup responding to the subtlest finger movements. Included with the SHR-1 is a four-conductor hookup cable. This pickup is also available on Gear4music.com in a bridge version. The SHR-1 is designed for all well-balanced instruments and works equally well with maple and rosewood fingerboards.